Steps from the water, Caicos Cays Villa features a private sand beach, luxurious infinity pool and so much more. The Villa’s 10 foot high sliding doors invite natural lighting creating a peaceful atmosphere and offers breathtaking views of paradise. 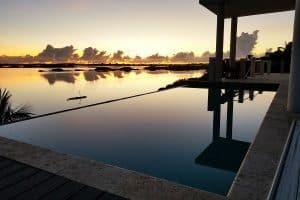 Caicos Heights offers a private plunge pool, 360 panoramic view of the picturesque Turks and Caicos island and more. Experience grandeur each night from the wrap around deck as you witness the sun descend below the horizon with awe-inspiring sunsets. Caicos Vista offers the feel of a cozy studio cottage on the shores of paradise. 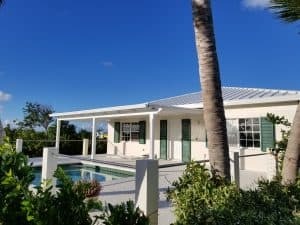 The 1 bedroom luxury cottage is perfect for a romantic getaway, or can be combined with Caicos Heights for an unforgettable vacation with friends.